Opening hours have been extended for the Holloway Road branch, the second spot in Brook Green's been doing a steady trade for months now, and there's a third pizzeria coming to Wembley this year. 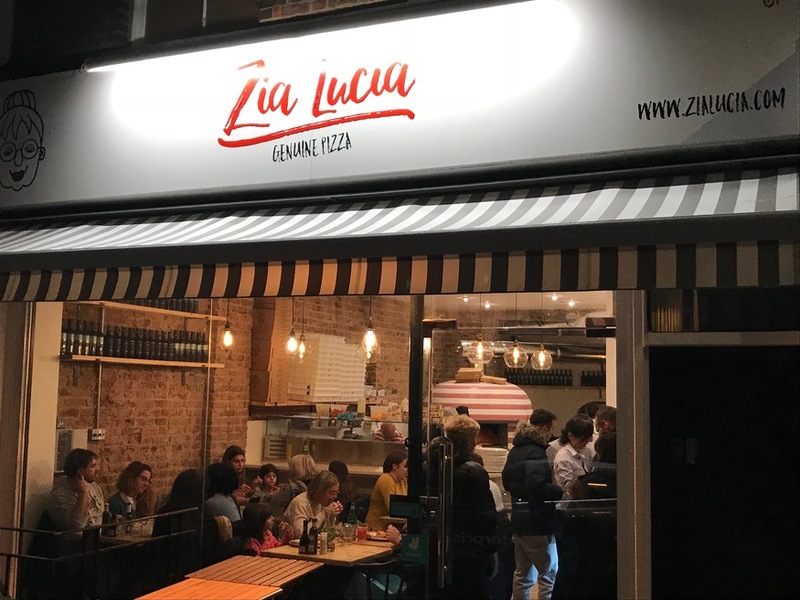 How come the steady rise of Zia Lucia, when restaurants are flickering out of business across London faster than you can say 'casual dining crunch' or 'the Brexit effect literally everybody saw coming'? The answer might be that they're not turning out enormous surprises — just doing all the things you want from your neighbourhood pizzeria, and doing them well. The pizza oven's at the heart of the room, all tables gathered around it — lovely enough on the warm evening we visit, and going to be totally enchanting when the real autumn weather hits. It's kid-friendly, relatively wallet-friendly — starters at £4, good-value negronis (£6.80) — and nicely busy on a Tuesday evening. One of their USPs is the range of four doughs you can choose from for any pizza — gluten-free, wholemeal, standard, or the Instagram-popular black charcoal. We'd say go classic: stick with the 48-hour fermented standard dough over the black charcoal one (it looks and sounds more exciting than it is) and one of the more purist toppings. If you really want to go off-piste, there are choices like the Andrea Pirlo — gorgonzola, apple and truffle oil — but we wouldn't swap our simple, perfect sausage and broccoli pizza for all the Pirlos in Christendom. The roasted butternut squash salad is decent value, decent size and perfectly nice. It doesn't live up to the pizza, nowhere near, but then Salad Not Quite As Good As Pizza isn't breaking news. Added up, we can see why Zia Lucia keeps expanding. It's the neighbourhood pizza joint you should be hoping lands in your neighbourhood. Zia Lucia, 61 Blythe Road, W14 0HP.